The Assistant Director (AD) is a full-time member of the professional staff. The AD is responsible for the overall operation of an area and functions in an advisory capacity to develop the potential of each student towards their educational goals. They have earned at least a master's degree and has an extensive background in the field of Residence Life or Student Development. Complex Directors (CD) are live-in, full-time professional staff members. A Complex Director's primary function is the management of a residence hall or group of residence halls. A CD must have earned at least a master's degree and have an extensive background in the field of Residence Life or Student Development. CDs serve as advisors to residence hall governments, and, when applicable, assist in planning programs in the residence halls. Associate Resident Directors are live-in professional staff members who are working toward a master's degree. Associate Resident Directors are jointly responsible for their area and other individual responsibilities as outlined by their supervisor(s). The Greek Court Associate Resident Directors are live-in professional staff members who are currently working towards a master's degree. Each Greek Court Associate Resident Director is responsible for the overall operation of two Greek Court buildings and is a coordinator of special programs. The University Court Apartment Manager is a full-time, live-in professional staff member. The Apartment Manager is responsible for the operation of an apartment complex housing approximately 550 students. The Associate Resident Directors for University Court are live-in professional staff members. They assist the Apartment Manager with the overall operation of the apartment complex. They are also members of the University Housing & Dining Services Marketing Committee, specializing in either marketing research or webpage development. 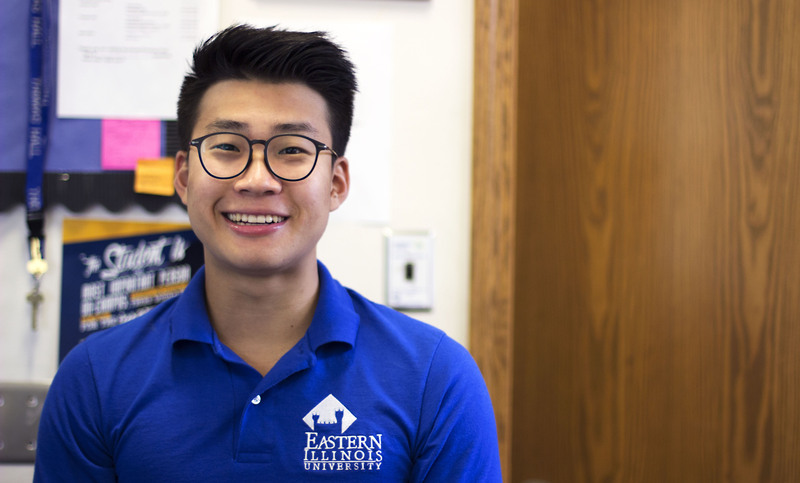 The Hall Secretaries work with the Resident Assistants, Front Desk Assistants, and other professional staff members to complete the day-to-day tasks required to run a residence hall in an efficient manner. They are an excellent source of information for residents. Senior Staff Assistants (SSA) are an integral part of Greek Court, which is Greek housing administered by University Housing Services in conjunction with the Office of Fraternity and Sorority Programs. SSAs serve as a resource for students and encourage students to engage in all aspects of campus life. SSAs contribute to the chapter leadership by helping establish an environment that is conducive to academic, personal, and leadership growth in the fraternity or sorority house. Senior Staff Assistants (SSA) in the residence halls play a significant role in helping University Housing and Dining Services provide a high-quality residential experience. In the residence halls, SSA’s primary responsibilities include providing support to the director(s) of their building(s) to ensure residents’ needs (academic, social, etc.) are being met. Resident Assistants live on each floor in the residence halls. Their primary concern is the resident population on their floor. They assist students personally or through appropriate referrals with academic, personal, social, or other types of services that aid college students with university life. Desk Assistants work at the residence hall front desks and are responsible for checking out equipment, sorting mail, answering the phone, making change, and acting as a resource for residents and guests. This is a customer service position whose duties include answering phones, data input, computer inquiry, answering questions, mail forwarding, filing, and providing assistance at the reception counter. They are responsible for many other miscellaneous tasks necessary to efficiently manage the University Housing & Dining Services office. The Night Assistant program works closely with the University Police Department in order to provide security for students and university property. Night Assistants have a number of duties, with their primary function being to ensure a safe living environment for residents. (May - August) Conference Assistants act as ambassadors to the campus for thousands of guests who travel to Charleston each summer. The position has a wide variety of responsibilities which include: working the front desk, night security, greeting at dining centers, maintaining the linen program, and recruiting future Eastern Illinois University students. Assistant Directors are responsible for the overall management of the dining operations that fall under the umbrella of Panther Dining. Composed of full and part-time employees, the Panther Dining Staff operates four residential dining centers, two convenience centers, the University Food Court, Panther Catering, and Java Beanery & Bakery. Dining Student Managers are employed in one of the four residential dining centers, University Food Court, or Panther Catering. They are responsible for training and directing student employees. Duties include opening and closing for each shift, training student employees, and enforcing sanitation laws and Panther Dining guidelines. Dining Center Student Assistant is a general title used to describe a variety of positions held by students who are employed in the University Food Court, Marketplace Convenience Centers, Panther Catering, or any of the four residential dining centers. Positions vary and include Kitchen, Line, Salad and Hot Bar Assistant, Reservation Only Host and Waiter, Catering, Checker, Busser, and others. Building Service Workers clean the lounges, stairwells, hallways, and other public areas of the residence halls. Students are responsible for the cleanliness of their rooms or apartments. Cleaning supplies are available at the front desk of the residence halls, and on-site University Apartments/University Court offices. Every residence hall employs one or two residents to work with the Building Service Worker (BSW) staff. These student helpers assist with various duties like emptying trash cans; sweeping common areas such as basements, stairwells and the lobby; cleaning glass doors and windows, and vacuuming common area rugs and carpeting. The Computer Lab Coordinator is responsible for supervising the Lab Assistants and Head Lab Assistants, as well as monitoring lab schedules in an effort to efficiently run the labs. Additional duties include hiring Head Lab Assistants, Lab Assistants, and, if necessary, Network Assistants. Network Assistants and the Network Computer Coordinator aid members of the on-campus residential community with the Ethernet connections in their rooms or apartments, with the Network Computer Coordinator handling the more difficult work orders. Additionally, the Network Computer Coordinator has the added duties of hiring and supervising the Network Assistants, and, if necessary, Lab Assistants. Lab Assistants and Head Lab Assistants are responsible for monitoring the computer labs located in the residence halls, answering questions, and printing student work. Head Lab Assistants have the added duties of hiring new Lab Assistants and coordinating the Lab Assistants’ work schedule.